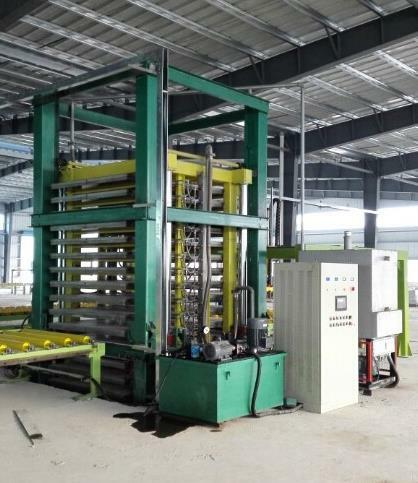 Because of artificial quartz large market demand, a lot of stone factory began work on artificial quartz stone production line, but because they choose not to mature of production line, eventually produce unqualified artificial quartz products, and eventually lost the market. 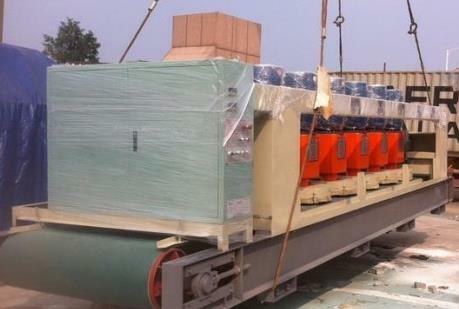 So what kind of artificial quartz is to produce high quality of the production line? 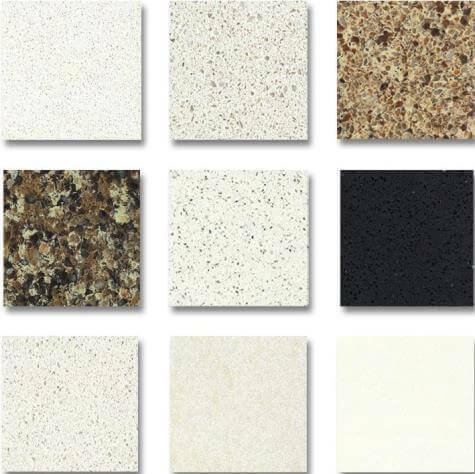 Through many years of market research, we determine the artificial quartz must meet the following four conditions completely, even if one condition does not conform belongs to the false artificial quartz stone. 1)the resin content (including all liquid materials) 7-12%. Less than 7% toughness, easy to fracture; More than 12% quartz stone slab deformation easily. 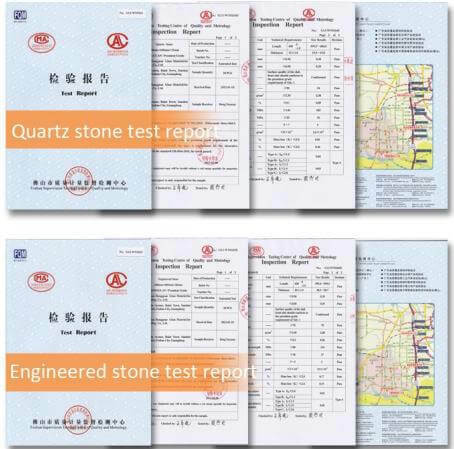 We know that many manufacturers of resin content at about 15%, so was false quartz. 2) must be under vacuum forming. Low pressure forming or casting forming, compactness of quartz plate is not enough, have bubble, easily fracture, no fouling resistance. 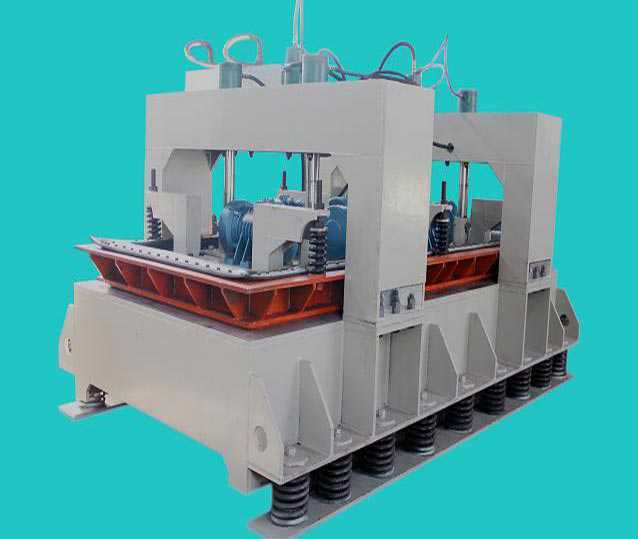 A lot of factory production line equipment is given priority to with low pressure forming, is far less than 2.5 g/cm3 density, so was false quartz. High quality synthetic quartz must go through the curing under high temperature to finalize the design, such a plank to a persistent deformation. But a lot of processing technology in order to save costs, using cold curing or under 100 ℃ low temperature curing shapes is given priority to, so is false quartz. 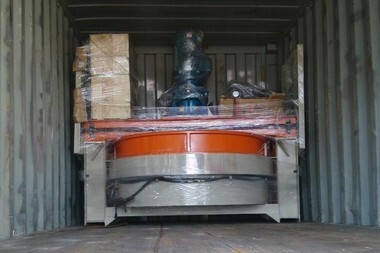 4)the hardness of quartz plate must be provided by the quartz sand. the glass not quartz , the proportion of glass particles in the quartz plate must be in the following 20% (mass percent) . 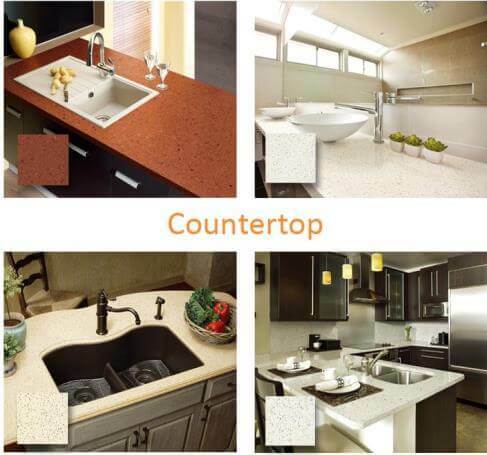 On the whole, Artificial quartz materials and ingredients decision features, production process decision of quality. 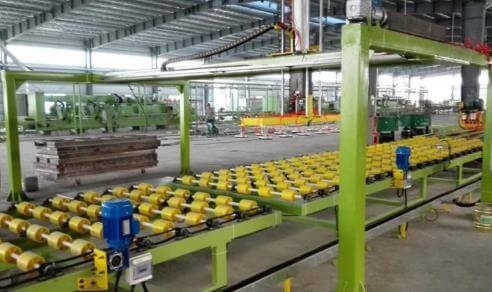 Our artificial quartz stone production line to provide technical support to customers for free formula, to satisfy the customer different processing needs.the production line custom design according to the actual factory to power and improvement. 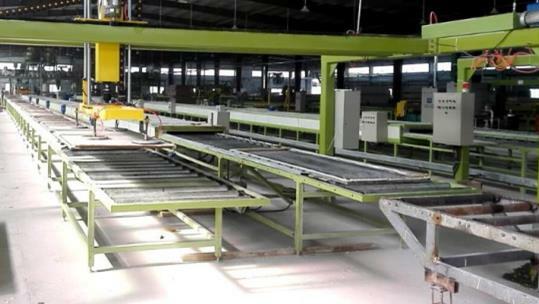 Artificial quartz production line if you have any questions, you can contact us, we offer a free consultation and custom service factory design! 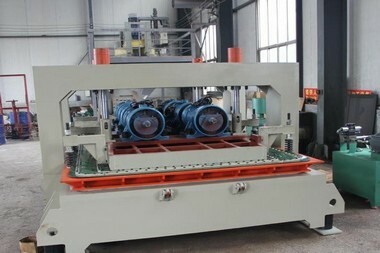 In order to make the forming of the sheet thickness, board face level off, so to thicknessing in polishing plate first. The quartz plate surface treatment, grinding and polishing brightness, the final step of stone plate processing and wholesale.